Good Beer Week is so close you can sniff it. And that means the Pint of Origin is back too. Originally conceived for the second Good Beer Week back in 2012 as a means of allowing breweries from all over Australia that might not otherwise be able to participate in the festival to be represented in Melbourne, it has developed a life of its own and become something of a festival within the festival. This year it has sprouted a few new tentacles. With Richard Watkins still getting his Bentspoke project up and running, the ACT is sitting this one out. 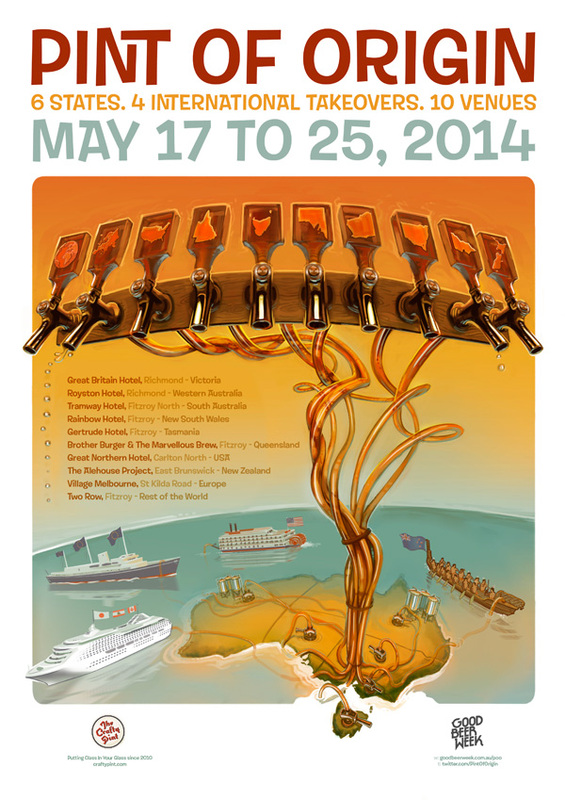 But taking the number of Pint of Origin venues to 10 are the first four international showcase pubs. Yes, in addition to venues showcasing brewers from Victoria, Tasmania, South Australia, Western Australia, Queensland and New South Wales, we have welcomed the USA, New Zealand, Europe and the Rest of the World under the PoO banner. You can find out who is doing what where via the dedicated PoO page on the Good Beer Week website â where we have introduced further enhancements this year â or on pages 6 and 7 of the print program. 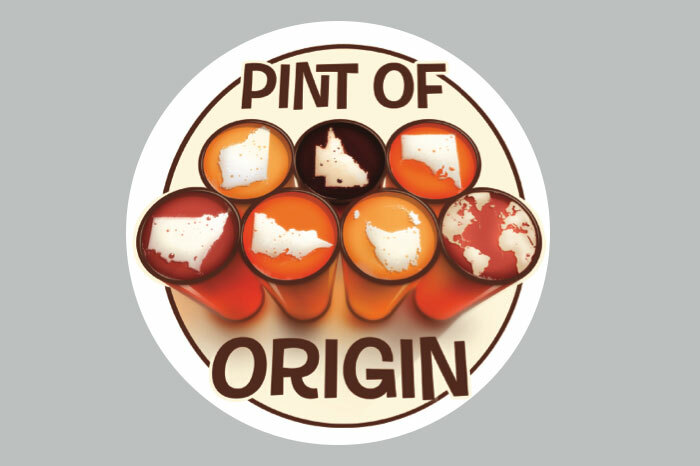 This year, the Good Beer Week organisers have given Pint of Origin venues the ability to list the breweries and beers they’ll be featuring throughout the week on their respective pages on the festival website. Whether they have time in the madness of serving the eager hordes to keep them constantly up-to-date remains to be seen but this will give you some insight into what to expect and where. As for many of the meet the brewer, special offer, pop-up events or the New South Wales Brewers Degustation, you will be able to find information on each venue’s PoO page underneath their tap list. Keep an eye on Twitter with the hashtag #PoO14 too. Once again, Good Beer Week has teamed up with the private driver smartphone app Uber to offer discounts to all signups as well as discounted trips between Pint of Origin venues throughout the week. These trips are on the company’s premium UberBLACK service, as opposed to their ride-sharing service. when you take a ride to, from or between Pint of Origin venues the app will know that you have done so and will automatically give you a 20 percent discount on that trip (for up to two Pint of Origin-related trips per customer â so if there’s a group of you, take turns in bookingâ¦). There are free rides to and from the Opening and Closing parties at the Festival Hub as well. As if bringing the best of the Australian and international beer worlds to you on tap, all within a few kilometres radius, wasn’t enough, this year we’re adding that little bit extra. Throughout Good Beer Week, each of the Pint of Origin venues is offering visitors the chance to win a prize at their venue. What’s more, The Crafty Pint will be offering an extra special, mystery, beery prize on top of that. Look out for competition posters in each venue that will detail what their particular prize is and also give you a unique code word with which you can enter the competition. 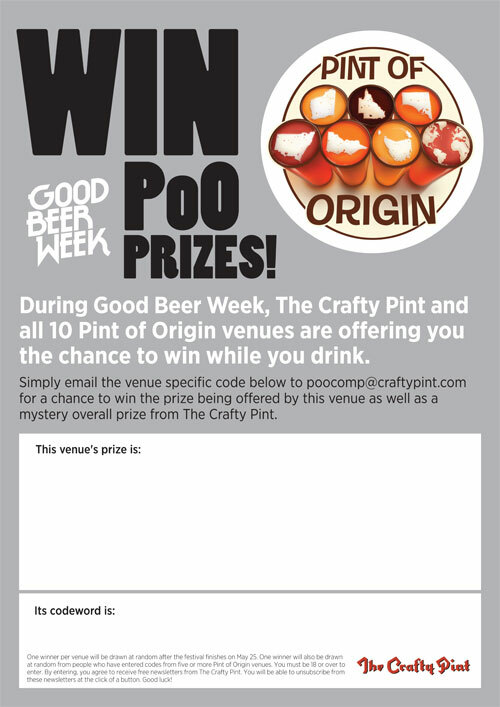 All you then have to do is email poocomp@craftypint.com with that code word in the title and when the festival finishes we will select one person per venue to win the prizes. To be eligible for the mystery prize, you must have visited five or more PoO venues and entered each of their competitions. It goes without saying that you must be 18 or over to enter and our usual competition rules apply. If you’re not already on our weekly newsletter list, your emails will be added to it but, should you decide you don’t wish to be bathed in Australian craft beer glory for free every Friday afternoon, you can unsubscribe from the newsletters instantly with a single click of your mouse or tap of your screen. So, what you waiting for? We believe there’s a pretty epic PoO Crawl lined up for the opening Saturday. And, of course, don’t forget to log all of your PoO-related shenanigans on Twitter and Instagram with the #PoO14.